But nobody is thinking different about this combination. Everybody is thinking way too small. I believe Apple sees the NFC chip and fingerprint scanner as part of a Grand Strategy: To use the iPhone as the solution to the digital identity problem. NFC plus biometric security plus bullet-proof encryption deployed at iPhone-scale adds up to the death of passwords, credit cards, security badges, identity theft and waiting in line. Apple loves to solve huge, hitherto unsolved problems. And there is no problem bigger from a lost-opportunity perspective than digital identity. The Boston Consulting Group estimates that the total value created through real digital identity is $1 trillion by 2020 in Europe alone. The report details how simply knowing for sure who people are when they’re online transforms entire economies. The biggest barrier to digital identity nirvana is that prior solutions are either too complex or too privacy invading for consumers to accept. And that’s why all the major Silicon Valley companies are desperately trying to solve this gigantic problem. While users view social networks as a way to stay in touch with family and friends and get socially selected streams of content, the companies that make social networks view them as elaborate schemes to solve the identity problem. Both Google and Facebook made big pushes to turn their social networks into solid identity services. And both those attempts have largely failed so far. Google+ came on strong with an initial demand that users use their “real name.” After a colossal backlash, Google backed off and their policy is currently in limbo. The other problem is the impossibility of verifying identity at scale. How do you know if Rusty Pipes, who just registered for a Google+ account, is really who he says he is? Facebook made an even nuttier attempt at verifying, asking users to actually scan their passports and other government-issued photo ID and send the images to Facebook over the public Internet in an ill-conceived trial. The scheme was so nutty many people thought it was a hoax. Also: Both Facebook and more recently Google are making big plays to become the de-facto means by which you can sign on to millions of sites on the Internet. Google’s Google+ Sign-In now competes directly against Facebook Connect. Establishing one’s company as the de facto digital identity layer is the single biggest business opportunity in history. Any company that acquires this status could become the world’s credit card, the world’s gate keeper to all transactions and the world’s main source of digital security in all its myriad forms. I think Apple can succeed where the social networks failed. The reason is that Apple has a better deal for users. The social network proposed both a small stick and a small carrot: Use one account and use your real name because then everything is better. That approach failed. Apple’s proposition is much better: Use the Identity iPhone, and stop keying in passwords, credit card numbers, billing information and more. As you cruise through the Internet, all the doors will open for you and you can securely use and buy and access anything you want without any work. Once you’ve associated your actual fingerprint with your iPhone, your iPhone becomes you — better than a photo ID, better than a signature, better than a password. 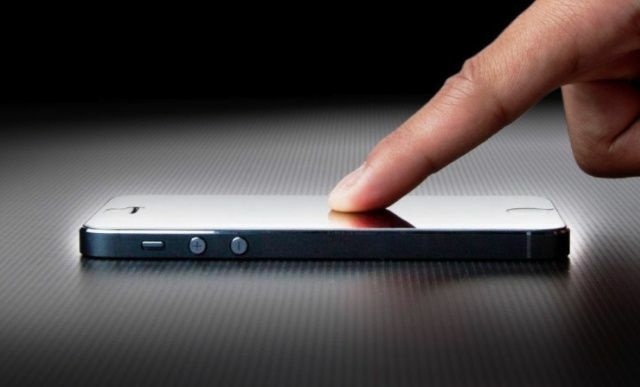 Today, a swipe of the finger on an iPhone conjures up the 4-digit passcode lock. If you spend some quality time with the Passcode Lock page in Settings, you can see that you have an option to turn it on or off, require it immediately or after one, five or fifteen minutes or after one or four hours. It also allows you to access or not access Passbook and the ability to reply to a message when the phone is locked. All those settings may be identical to the fingerprint scanning feature of the next iPhone. In other words, fingerprint scanning will be both optional and highly configurable. I do not believe Apple will allow the old passcode as an alternative, because that’s not how Apple rolls. They’ll want to firmly encourage users to embrace and accept password authentication. I believe Apple intends to build both NFC and fingerprint readers into iMacs and iPads. When you set your iPhone next to the keyboard of your iMac, all your online activity will identity you to various sites, which means that you’ll have an “E-Z Pass” right through password dialogs and credit card pages. You’ll just be able to log in as you and buy stuff without typing anything. The same thing will happen when you set your iPhone next to somebody else’s iMac, too. Or, you can swipe your finger on the reader built into the keyboard. I know, I know. This is all the generic promise of NFC and digital wallet technology, which has been around for years but which has failed to gain mainstream acceptance, for the most part. But remember: This is Apple we’re talking about, the world’s great creator of markets. This is the company that single-handledly created the digital music market, the digital media player market, the multi-touch smartphone market and the touch-tablet market. When Apple does something like this, they’re capable of creating the house that everybody lives in. Can Apple succeed with digital identity where others have failed?